King Robert is King of the Andals and the Rhoynar and the First Men, Lord of the Seven Kingdoms, and Protector of the Realm. 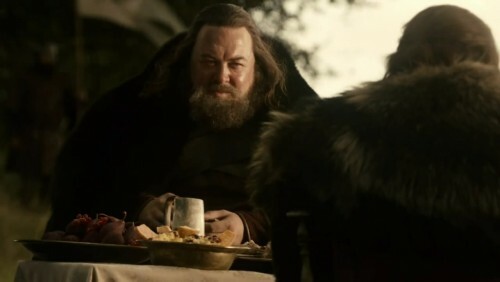 Along with his closest friend Eddard Stark and their foster father Jon Arryn, Robert Baratheon led the rebellion that toppled the Targaryen dynasty after the Mad King, Aerys, began a reign of terror and his son, Prince Rhaegar, abducted his betrothed, Eddard’s sister Lyanna. Giving up his seat as Lord of Storm’s End—one of the great magnates of the realm—to his youngest brother Renly, he assumed the crown and named his brother Stannis as Lord of Dragonstone, the ancestral Targaryen seat, which has proven a bone of contention between them. A mighty warrior in his youth, huge and powerfully built, in the last years Robert has gone to fat, eating and drinking too much. Robert was convinced to marry Lord Tywin’s daughter, Cersei Lannister, making her queen. She has given him three children, but their relationship is a cold and unloving one. He remains a lusty man, however, and is a notorious whoremonger, with a dozen or more bastards to his discredit. He remains a boisterous lover of drink, generous to a fault, and entirely unsuited to ruling the Seven Kingdoms. According to reports, the character has been aged upwards from thirty-five to his forties. The actor cast in the role, Mark Addy, is notably shorter (8”+) than the character as described in the novels, who is said to be 6’6” tall, but it’s unclear whether cinematic methods will be used to make him seem taller.